Your satisfaction is important to Emergency Dentists 24/7. If you have a question or concern about a service we provide or an article we published, please feel free to reach out to Jamie Brown, our customer support specialist. Jamie can be reached at jamie@emergencydentist247.com and has spent years working as a customer support expert for a wide variety of sites. Jamie is available Monday through Friday from 9 AM CST – 5 PM, Central Standard Time. 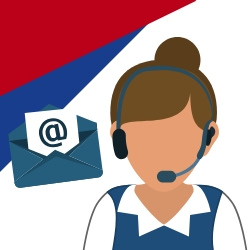 In addition to E-mailing us with the addresses above, you can also give our customer support staff a call at (855) 352-6790. We thank you for taking the time to get in touch!